At Auto Express KIA, we want you to fully understand all aspects of being a vehicle owner. 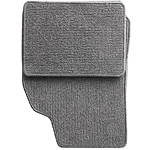 One issue that may come up is choosing between rubber and carpeted floor mats. Rubber floor mats tend to be easier to clean than carpeted ones, which can be important if you live in an area that has a lot of snow or rain. If you want to keep your vehicle in good shape, we can help at Auto Express KIA. 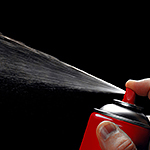 Understanding how to apply touch-up paint can be helpful and keep your exterior finish looking smooth. Surviving the winter is easier when you’re prepared. 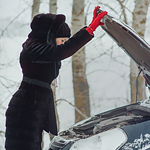 At Auto Express KIA, we recommend creating a winter survival kit. This way, you have the various tools and supplies inside of your vehicle if something happens. If you’re stuck in your car until help comes, it could be a while. You need to stay warm with all that cold weather outside. Pack blankets, gloves, and hats to stay warm, especially if you can’t run the heat. Next, think about food and water, such as protein bars, in case you get hungry while you wait. In Erie, it’s important to know how to get around. This is why being an Uber or Lyft driver is such an essential job, as you’re providing a service to those who need options to get them to where they want, when they want to. However, making sure that you choose the right car to drive with can be just as essential as choosing to work for a ride-sharing app in the first place. If you want to keep your car looking like brand new, it is a good idea to invest in a car cover. The right car cover can ultimately keep your vehicle in pristine condition and can also help prevent damage from rain, snow, and sunlight. In order to keep your car in pristine condition, you should use your car cover whenever you are not using your car. If you have a second vehicle that you use for fun or sport, you should keep it covered as much as you possibly can. Driving into the sun can be one of the most frustrating times on the road. For one thing, your ability to see is going to be reduced. There are certain things that you can do to improve your sight and visibility to other drivers so that you can avoid any threats. When you need to rely on your vehicle to get you around town in Erie, you want all of its components to be firing on all cylinders. Having a dependable mechanic can give you peace of mind; if anything ever requires repair, the mechanic will be ready to remedy the situation. The days of having a simple car stereo are gone. 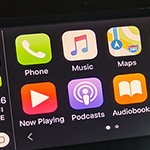 Today, infotainment systems offer music and video play in addition to having radio functionality. Infotainment systems feature enlarged screens that display camera and sensory technology images in addition to the system's function controls. The screens are designed in many different sizes. Some have touchscreen features. Every car battery has internal compartments that must work together to create a charge resulting in successful starts. Having a battery that won’t start is an extremely difficult thing for drivers in Erie to deal with. 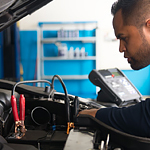 It is advantageous to be able to test your own car battery before it presents a starting problem. If you have access to a voltmeter, you can routinely check your car battery’s ability to hold a charge. Using a voltmeter, simply connect positive and negative ends. Readings on a voltmeter will show charges at, and below, twelve volts.